I think this is the question which should appear after the “Got Milk?” ads. These ads are run by dairy farmers, so of course they are trying to tell you that milk is good for you because they make money if you believe their ads, but it’s simply not. Cow’s milk was intended for baby cow’s. Half of all ear infections are caused by milk or other dairy products. I found this out the hard way and with my mother’s instinct, because your doctor is probably not going to tell you this. The day I started my oldest on milk (right around 12 months), he got his first ear infection, followed by 3 more over the next four months! We followed the usual route of antibiotics, followed by a different brand of antibiotics, followed by another brand of antibiotics, and so on. His ears would clear up after 2 or 3 weeks, then he’d get another one. I asked the doctor if it might be caused by milk, since he only started getting ear infections the day I started him on milk. She said of course not and to not even think about taking him off milk – he needed it she said. I reluctantly believed her, but inside of me, I thought it was from the milk. By the fourth ear infection, I decided not to give the antibiotics despite my doctor’s plea that it could spread to his brain and he could die. I’m not kidding. She actually told me this. Instead I took him off milk and gave him rice milk instead. That was the last ear infection he ever had (he’s now almost 9) and his ears cleared up without antibiotics. Listen to your “mommy instinct!” That’s what God gave you it for. During this time, I started to look up information about ear infections and came across some articles on www.mercola.com, which is where I had read that half of all ear infections came from milk. That seemed like an awfully high number and if it were true, why weren’t doctors telling us this?! It seemed ludicrous to me. But, personally I believe the medical industry is out to make money. Now I’m sure most doctors don’t perceive it this way, but they are being blindsided by “Big Pharma”. I’m all for doctors in the event of an emergency or serious disease, but prescribing antibiotics incessantly without trying to find out what is causing the ailments just doesn’t make any sense to me. What about teaching patients a bit about prevention and how to properly take care of yourself so you don’t get sick? Or how to get to the root cause of the problem instead of just treating the symptoms until they appear again. But they probably don’t teach that in medical school. That’s considered holistic medicine. They don’t make money if you just stop drinking milk. They’d lose half their patients according to this study. Most doctors do the bulk of their business by prescribing antibiotics for ear infections and strep, and by giving vaccinations. So what can you do if your child does get an ear infection? Since only about half of all ear infections are caused by milk, your child may get an ear infection even if they don’t eat dairy. For ear infections in our house, we use Wally’s Ear Oil with great success. My midwife told me about it. It can be found at GNC, Vitamin Shoppe, or your local health food store. It contains tea tree oil, garlic, mullein, echinacea, eucalyptus, etc. It is strong smelling, but put in 1-2 drops, and within minutes, the pain is dissipated and it goes to work killing the bacteria on contact. I’ve used it myself. For my kids and especially when they are babies, I use it at the first sign of ear ache. If they are tugging on their ears, I see a lot of wax, or they are getting over or have a cold, I just give it automatically. It usually never persists beyond another day or two. If they stop pulling on their ears, I just give it for another day at night before bed for good measure. My 2 year old will tell me he wants oil in his ears when his ears are bothering him and he lays right down for me to put it in, so I know it makes his ears feel better, though he rarely gets ear infections. I have used antibiotics for him once only because he had had a febrile seizure. If the infection gets bad and is accompanied by a fever and the child is obviously in a lot of pain, I would give antibiotics, but I’ve found that if I treat with Wally’s Ear Oil at the beginning of an infection, it resolves itself quickly before we even need a doctor’s appointment. If your baby is waking at night crying and won’t let you put them down and wants to be held upright, that usually meant an ear infection in our house. I knew the ear oil was working on my babies because they would stop crying within 5-20 minutes and go to sleep for the rest of the night. If you’re not sure if they have an ear infection or not, it doesn’t hurt at all to give them the oil. It will actually help pull out any bacteria that may be in there. A couple days after giving the oil, you may see some ear wax. That is just the body’s way of getting rid of the bacteria in the ear canal and that’s a good sign. Wally’s Ear Oil will also kill any yeast in the ears. If you don’t have any Wally’s in the house, you could also crush up some fresh garlic and put it in some warm olive oil. I’ve never tried this, but I’ve heard this also helps. You can also cover the ear with a warm wash cloth to help soothe the pain. If you do decide to give antibiotics, you can give the oil as well to help with the pain. I don’t believe many children truly need to have tubes put in their ears. I think these doctors don’t know what else to do because these antibiotics that they are prescribing just aren’t working. And they aren’t working because they haven’t addressed the real reason for the ear infections, which is in many cases caused by dairy and if you don’t eliminate the dairy, you will not eliminate the ear infections. Yes, kids do get fewer ear infections as they get older because of the length of their tubes or something, but their reaction to dairy also changes as they mature. For my son, he stopped getting ear infections when we took him off milk, but I didn’t eliminate all dairy from his diet. By age 3, he started getting migraines from dairy. I started buying string cheese for him and he loved it (by the way – you’re often allergic to whatever you crave the most). One day, he had fried mozzarella cheese sticks for lunch, and 2 or 3 string cheeses that day. He woke up at night screaming bloody murder. Any light hurt his eyes, he felt like throwing up, and his head was hurting him so bad, he was balling. I called the doctor frantic. I didn’t know if he had a tumor or what. I had never heard of a 3 year old getting a migraine. (I’ve suffered from migraines since I was about 8 as well. I finally linked it to dairy as well.) The doctor had no idea. I explained what he had eaten that day. He continued to eat the string cheese because I had no idea that might be causing his headaches. Three times within the next month he had migraines. I got his eyes checked and they were fine. I finally took him to a holistic doctor along with my infant daughter, and she thought they were both allergic to dairy. I stopped the string cheese and further limited his dairy, and he stopped getting headaches, except when he had too much dairy. For my daughter, she was about 8 months old when we went to the holistic doctor. She had had goopy, watery red eyes ever since she was born pretty much. She also had constant colds from 2 weeks old on. Her face was often red and splotchy and she would get rashes all over her body sometimes or her face. I finally linked the rashes to our laundry detergent (we have to use 1/4 the amount of Seventh Generation, with some Borax to remove any residues). The red watery eyes were from dairy. 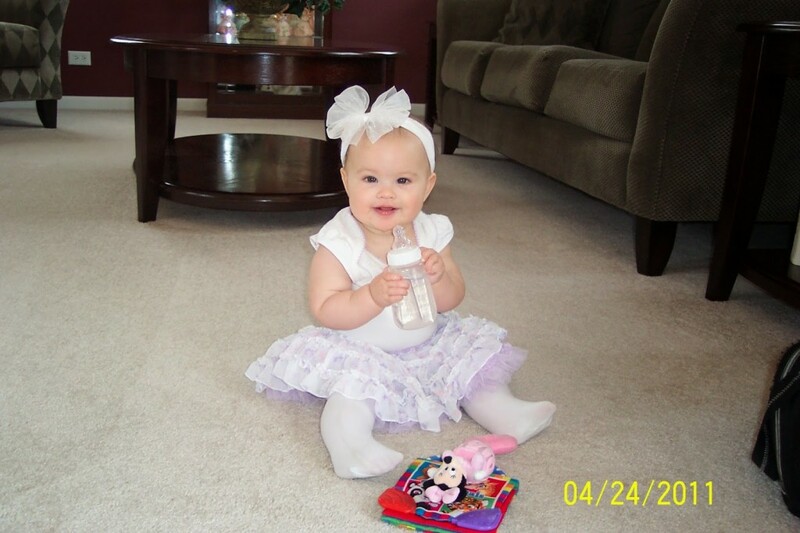 I stopped her formula and strictly breastfed and her eyes suddenly improved. Her constant colds also dissipated. If she ate dairy, her eyes would start to water and her nose would start to run every time. She could handle (or so we thought) small amounts, but if she ate macaroni and cheese, we could expect a runny nose. Today, we eliminate all dairy for her. If you do choose to eliminate milk for your child, don’t switch to soy milk! Half of all kids who are allergic to milk will be allergic to soy. Soy is also a hormone disruptor. Kids who were given soy formula as infants reach puberty at a much younger age. Were seeing girls hit puberty as young as 9 years old now. Some of those hormones are also getting into our kids through the meat they eat. If your children can handle milk, I would suggest at least buying Oberweis milk or organic to avoid the hormones and antibiotics from regular milk. Oberweis is basically organic, but can’t get that label from the government for certain reasons. We use Pacific Rice Milk from the organic aisle at Woodman’s. Soy also often causes aggressiveness, hyperactivity, and moodiness to name a few. It certainly does in my kids. Dairy is also the most common cause of asthma. So What About Milk Is So Bad? If the milk today was raw milk, it wouldn’t be that bad. But, unless you buy the cow (literally), the milk in the store is pasteurized, the cows are given hormones and antibiotics, and fed corn (something no cow was ever meant to eat). Cows were made to eat grass, yet the cows that are milked for us today are being fed grain and corn, which wreaks havoc and bacterial infections in the cows, which is why they need to give them so many antibiotics. If you really want to learn more about this and be totally grossed out, watch the movie, “King Corn.” You can probably get it at your library. It’s quite disturbing what corn does to a cow. If we were able to drink milk from a cow who has been allowed to graze a field, eat grass, and not be hooked up to a machine all day to produce massive amounts of milk for the mass population, it might be OK. Raw milk is often well tolerated, even by people who ordinarily have a problem with dairy. You do literally have to buy the cow if you want raw milk though. It’s illegal to sell raw milk, so farmers have sold partial ownership of their cows to people wanting raw milk. They divide the rights to the cow’s milk among several people, and they then own the cow and can take it’s milk legally. Goat’s milk is another form of milk that is often much better tolerated than cow’s milk. I believe all of the goats are allowed to graze and eat grass and are not fed corn. Cows in other countries are not fed corn. They are allowed to eat grass. They are fed corn here because in order to produce the amount of milk demanded in the U.S. (partly because of the milk campaigns), they would probably run out of grass. We don’t have as much open grassland as we used to in America. They would also not be able to produce as much milk if they didn’t give them growth hormones. It’s all about money. Go to www.mercola.com and type in milk and ear infections. It will bring up a number of articles and at the bottom, Dr. Mercola lists his comments about the article. If you’re new to this “all natural” stuff, the best way to start learning, is to sign up for his weekly newsletters. They are excellent and you will learn a lot without being overwhelmed with a ton of information at once. I know some people will still not be convinced that their kids should stop drinking milk, but at least consider what your kids are eating when they are getting sick. Do they get a lot of ear infections and colds? What are their favorite foods and drinks? If you cut them out for a time, do their symptoms improve? And what about all the vitamins from milk? Those vitamins aren’t found naturally in milk. They are added, just like they are added to rice milk. Rice milk contains the same amount of calcium and other vitamins as regular milk. You can also supplement yourself. If you take out all dairy, you should give calcium, magnesium, and vitamin D supplements, or at a minimum, a good multivitamin which all kids should be taking. 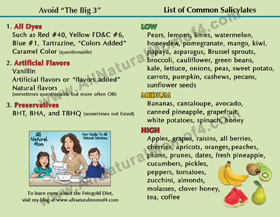 See my blog post here on supplements my kids take. 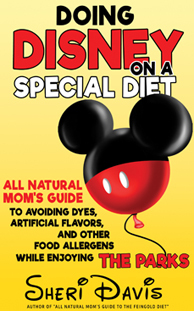 If you want to learn about milk, get the book “Don’t Drink Your Milk!” from your library. 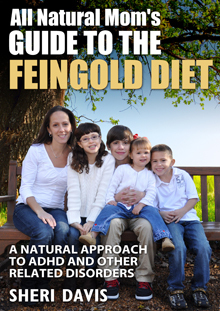 Look for my book “All Natural Mom’s Guide to the Feingold Diet” available now on Amazon! 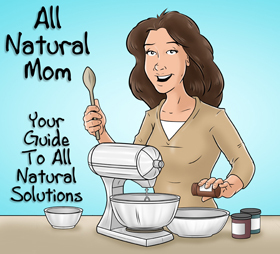 Posted in GFCF Diet, Natural Living and tagged adhd, all natural mom, dairy free, Dye-Free, ear infections, ear oil, Feingold Diet, GFCF diet, GFDF, gluten free, Got Milk?Got Ear Infections?, Sheri Davis, supplements. Thanks! Isn't it crazy? I had never even heard of oxalates before, but sure enough, she is definitely affected by them. Awaiting for testing to know for sure. This was an awesome post thank you! I have a post a lot like this on my blog…it's about soy milk and other milk alternatives. My family aside from my husband is lactose intolerant. I was drawn to this post because I've had trouble with ear infections all my life and now that I'm expecting I'm looking for ways that I can treat or prevent problems in a way that is safe for the baby. Thanks I am looking forward to reading more! I'm up too late reading quite a few of your posts! My daughter gets ear infections a lot. Come to think if it, so did I. In the past few days we decided to cut down on dairy, so I hope there are going to be some improvements. She has a constant throat clearing and stuffiness too. My son is breastfed, but still has to have a couple of formula bottles a day. (We had trouble in the beginning, and my milk supply didn't catch up to what he is needing now, though I'm back on supplements and tea for it.) He seemed okay, even though it was milk based formula, but I started him on yogurt in the mornings about a week ago, and I'm sure he has an infection now. We have a Dr.s apt the day after tomorrow, but I don't want to put him on antibiotics if possible. You mentioned Wally's Ear Oil, and using it for babies – he is about five and a half months old. I bought some, and the package says for kids over 2, is this something you have used in young babies? I know they sometimes have to put warnings on things, even when they should be safe. I've used it on my kids that young. My midwife suggested it to me. I'll have to check the one I have upstairs and see if it has any warning like that. I don't remember reading that. I've been using a similar brand from Whole Foods that is organic. I think it's Gaia Herbs brand. This one stinks really bad though. They all contain similar ingredients though. Personally, I wouldn't give him any more yogurt. I didn't start my kids on solids till 6-7 months and then it was one veggie at a time once a week. When you do start solids, I just posted a few recipes on my other blog, http://www.feingoldrecipes.blogspot.com that are really good. Good luck. Hope you can avoid the anti's. Cutting out milk right before bed eliminated our 3-year-old son's chronic ear infections. Our pediatrician told us that when children lay down with milk residue still in the mouth, the bacteria collects and can turn into ear infections. We then cut him off after dinner and tooth-brushing, and he has not gotten another infection. This information saved us from endless antibiotics and tubes. He still drinks milk during the day, and that has been fine. Awesome and very eye opening blog! I'm going to GNC today to pick up some Wally's Ear Oil & grabbing some rice milk on my way home. Our 3 yr old has been fighting an ear infection for 2 months now and I just can't stomach the idea of putting her on more antibiotics that are not helping. THANK YOU! You have written my exact story! My son had 5 ear infections in 7 months. I was just dying inside after giving him so many rounds of antibiotics. My doctor told me there were no other options than to put tubes in his ears. After I started researching the tubes and seeing how unsuccessful they were and how they were really only a short term solution I KNEW that I needed to find another option so I turned to the internet and my Chiropractor. Quickly I found the dairy and ear infection association. After we cut out dairy he has been ear infection free for 5 months now! I am so very disappointed with my doctors … We saw three different doctors hoping to get some answers and not one of them mentioned anything other than antibiotics and the tubes. Our family of 4 just gave up all dairy products a few weeks ago and our lives have changed DRAMATICALLY!! Our 20 month old was our inspiration, as we found out (through our own research) that he has a dairy allergy. The signs started when he was 8 months ( but looking back, he was a a tough baby so it started from birth). He had a persistent ear infection that doctors just kept giving him rounds and rounds of stronger and stronger antibiotics. Finally, I did some research myself and saw a post where someone had suggested a possible milk allergy. I took him off milk while he was on his last round of antibiotics before he would get surgery–tubes in both ears…and the fluid behind his ears had cleared up after just a week. He was finally balanced enough to walk without falling without all the fluid behind his ears and he could hear!! He had other signs too–very cranky all day, especially when we switched him to cow's milk (his poor tummy was probably in knots not being able to digest the stuff), eczema on his cheeks, etc. We tested him with cheese and same awful reactions so we learned that we needed to eliminate milk, butter, cheese, most lunch meats–anything with casein, whey, lactic acid. My husband has always had lactose intolerance with milk and ice cream, but would tolerate the pain to eat cheese which he loved. Taking the family off dairy has made him realize just how cheese was affecting him (even though that was the only dairy product left that he was allowing himself). He no longer has IBS, no longer snores at night, and no more insomnia! Our 3 year old was surprising too when we took him off dairy–he always drank almond milk but he would eat cheese and ice cream, etc. His mood swings are gone! He is a complete pleasure to be around all the time. He's back to taking naps but he has alot more energy during the day (he used to act tired ALL the time), no more tummy aches and IBS symptoms are gone. Lastly, a HUGE change in myself. We had given up gluten first, thinking that might be the problem with our family, but in doing so realized dairy is affecting us all and probably everyone that consumes it. I was one step away from knocking on a therapist's door for medication for PMDD or depression, or whatever was going on with me. My mood swings are gone (sometimes my mood would make a 180 for no reason at all)! I'm no longer bloated, I feel energized and NORMAL again. I think some has to do with no more gluten but MOST is because of dairy. I will happily never eat a piece of cheese again to feel like this. I wish everyone would try this, just for 2 weeks. I see toddlers literally losing their minds at the playground and I want to scream from rooftops to stop giving your children milk and you will have that sweet angel back. It is much harder with children–Pediatricians are pushing milk down our throats, almost every convenient snack has dairy in it, cheese, yogurt, pizza, ice cream, birthday cake! But we've made the choice and are so happy about it…I'll just have to bring our own mini pizza and cupcake to future children's parties, but it's worth our sanity. Dairy literally destroyed my life. I suffered from chronic ear infections as a child. “Doctors” repeatedly gave me antibiotics to “cure” my problem. Antibiotics and the lack of any real help I could have received from the doctors led to systemic candida in my body. I reached near the end of the candida stages (adrenal failure) by my twenties. I was prescribed antidepressants and mood stabilizers by more “doctors”. I haven’t dated one my entire life because of the overwhelming anxiety, depression, and body odor caused by candidiasis. I also self medicated because of this. I have also been assaulted, and almost killed, because of the explosive anger candida causes. A few years ago, my psychiatrist, possibly one of the only real doctors in the world, told me I should address my nutrition. A chain reaction set off what would be several years of very challenging detox. Holding a job while smelling horrible I’d not easy. I have smelled bad, I now realize for 15+ years. I wasn’t able to know this, because I couldn’t smell it. Now, at 29, I have zero friends, haven’t dated once, an associates degree that will land me a job making barely a living wage, and still live at home. I at least have some idea of the person I should have I been in life now. I would personally like to thank mother nature and the “doctors” in the land of the free. I am getting a ‘life is good’ bumper sticker I think! If you have children, please don’t let them become a lost cause because of the evil that is the medical establishment. That is all.